I am something of a bargain hunter. When I find a fellow sewist's garage sale or a fabric store going out of business, I STOCK UP! Four years of accumulated finds have led to my basement containing more random fabric and craft supplies than some small fabric stores. Before I go on any more buying sprees (and since garage sale season is right around the corner), I need to do some serious sewing. Coincidentally, my two girls have sprouted up like crazy over the winter, and need an entirely new wardrobe for spring and summer. (The boys are growing too, but the oldest still fits in his summer clothes from last year, and the baby has inherited a TON of hand-me-downs. I will be sewing some for them, but the bulk of this project will be for the ladies). Huge fabric and pattern stash plus leggy children equals summer stashbuster project! I'll be detailing my adventure as I go here, as regularly as I'm able. My little girlies are six and four years old. 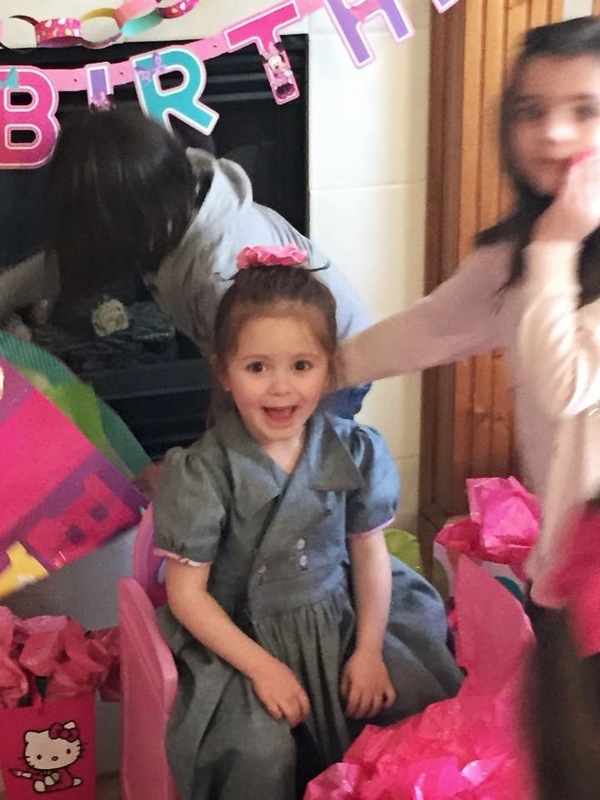 They love to twirl and dance, and enjoy all things sparkly and fancy. They also love to play outside, ride bikes, and bury their toes in the mud. They're best friends, and they're a lot of fun. 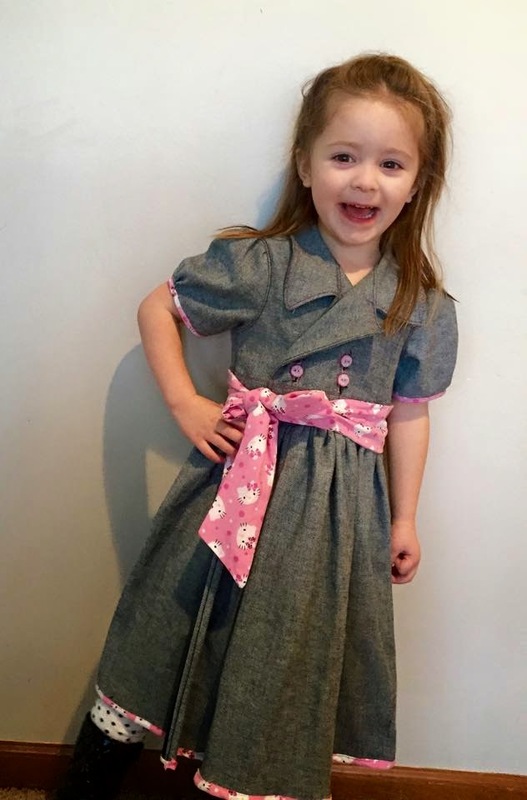 So the first stashbuster was a birthday dress for Tessa, who is four years old. She is completely obsessed with Hello Kitty. The fabrics: A heavier stretch denim from the Red Tag section at Jo-Ann during their Coupon Commotion event. I think once all my coupons and discounts were used, it was about $2-3 per yard. 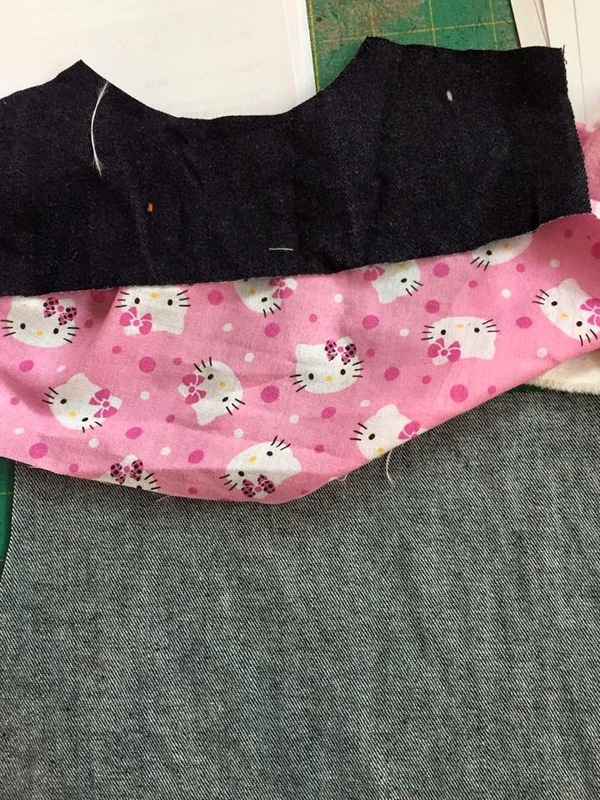 As accent, some Hello Kitty licensed quilting fabric out of the remnant bin. I had about 3/4 of a yard. The pattern: Jane by Violette Field Threads - available here. I love this pattern. It was easy to follow, and true to off-the-rack size. I made it for her in size 4. It was a little bit big, as she's kind of between sizes right now, but that's ok. It should last her into the fall, I think. She LOVES it! I made it a couple of weeks ago, and she has wanted to wear it straight out of the dryer every time it's been washed. She gets tons of complements on it. I'll definitely be using this pattern again at some point in this project.